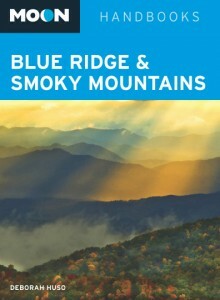 As fall color season moves into full tilt along the Blue Ridge Parkway and in the Great Smoky Mountains in the next couple of weeks, be sure to pick up a copy of my new book, Moon Blue Ridge and Smoky Mountains (Avalon Travel, 2010), to help you plan your autumn road trip through the southern Appalachians. Wondering if it’s a good buy? Check out the last reviews of Moon Blue Ridge and Smoky Mountains in The Salt Lake Tribune, Our State, and The Wichita Eagle. Don’t forget you can order discounted, signed copies through my web site!